Henry “Hank” Sapoznik is an award winning author, record and radio producer and performer of traditional Yiddish and American music. With MacArthur Fellow David Isay, Sapoznik produced the 10-week radio series the "Yiddish Radio Project" on the history of Jewish broadcasting for NPR’s All Things Considered in the spring of 2002. The series won the prestigious Peabody Award for Excellence in Broadcast Journalism for 2002. A pioneering scholar and performer of klezmer music, Sapoznik was the first director of the Max and Frieda Weinstein Archives of Recorded Sound at the YIVO Institute for Jewish Research, from its founding in 1982, until 1994. As an outgrowth of that work, in 1985 Sapoznik started "KlezKamp: The Yiddish Folk Arts Program", the world's most important training venue for practitioners of this nearly lost art and, in 1994, founded the Yiddish arts organization "Living Traditions" to administer it. His book Klezmer! Jewish Music from Old World to Our World (1999), was the winner of the 2000 ASCAP Deems Taylor Award for Excellence in Music Scholarship. A four-time Grammy nominated performer/producer, Sapoznik has recorded and/or produced over 35 recordings of traditional Yiddish and American music. He was also nominated for a 2002 Emmy Award for his music score to the documentary film "The Life and Times of Hank Greenberg". His 2005 3-CD anthology of country music pioneer Charlie Poole for Sony Columbia Legacy was nominated for three Grammy awards (Best Historical Album, Best Album Notes, Best Box Design). In 2007, he co-produced the 3-CD reissue anthology "People Take Warning! Murder Ballads and Disaster Songs 1913–1938" with Christopher King and authored the notes, which was nominated for a 2008 Grammy award for Best Historical Album. Later in 2008, King and Sapoznik went on to co-produce the acclaimed 2 CD reissue box set "Ernest V. Stoneman: The Unsung Father of Country Music 1925–1934" (for 5 String Production), and they co-produced with Sherry Mayrent, a 3-CD compilation titled "Cantors, Klezmorim and Crooners 1905–1953: Classic Yiddish 78s from the Mayrent Collection". Henry was a founding member of one of the first klezmer revival ensembles in the early 1980's Kapelye. This group recorded 4 successful albums and performed on the soundtracks of such movies as The Chosen, which was adopted in 1981 from Chaim Potok's novel, and Israeli Menahem Golan's 1984 film, Over The Brooklyn Bridge, starring Elliot Gould, Shelly Winters, Sid Caesar, Margaux Hemingway and Carol Kane. 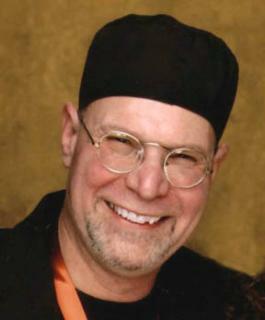 Later, Henry founded and still fronts the all-star klezmer trio Hank Sapoznik and The Youngers of Zion, which, in 2005 recorded the acclaimed CD: The Protocols. Sapoznik is the director of the Mayrent Institute for Yiddish Culture at the University of Wisconsin–Madison, and is also the donor of the Henry Sapoznik collection (AFC 2010/003), which includes photos, over 1400 sound recordings (most are instantaneous discs), and manuscript materials documenting Yiddish-American radio, at the American Folklife Center, Library of Congress. Henry Sapoznik..."a fount of historical and anecdotal knowledge of Yiddish culture and history". - Nat Hentoff, Wall Street Journal 2010.